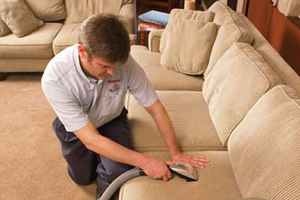 Our company is a leading provider of upholstery cleaning services in Maida Vale W9, London. Our professional cleaners are here to help you seven days a week. Even the highest quality upholstery shows traces of heavy use at some point. Not to mention all the dust mites and various other harmful micro-organisms that reside in it. This is why cleaning the fabric covering of your furniture is an important household activity. Yet, it is quite difficult as well. Luckily, we want to help you by doing that for you. But let us first explain who we are. Cleaner Maida Vale provides a first-class upholstery cleaning service in Maida Vale as well as all around London. Professional technicians, competent consultants, and top equipment is what we offer to each and every customer. But why it is better for your upholstery to be cleaned by our experts? As already mentioned, various harmful micro-organisms accumulate between the fibres. We guarantee that we will treat every single piece of your furniture with individual care. Only the best equipment and cleaning products. They are all eco-friendly and absolutely safe to your health and that of your loved ones. Easy-going and highly experienced technicians. They have all been trained and vetted. Thus, we guarantee our customers’ safety. Round-the-clock customer support centre with friendly and cooperative consultants. We provide two main types of upholstery cleaning – steam and dry cleaning and we can guarantee that they are both effective. The steam method, also known as hot water extraction, is more suitable for synthetic fabric, since they are not so sensitive to water. Mind you, our technicians will make sure that your furniture is completely dry after being cleaned, otherwise unpleasant odours and mould spores might appear. Dry cleaning, on the other hand, is a recommended treatment for natural fabrics such as silk, suede, etc. They are more sensitive to water and water-based cleaning products as well as shrinkage and browning. You should know that our technicians will thoroughly pre-inspect your furniture, in order to decide which method and products are most suitable to apply. So if your upholstery looks a bit shabby and stained, do not hesitate but quickly book with the real professionals. We will bring it to its pristine condition and you will no longer have to feel uncomfortable every time when someone pays you a visit. Call our customer support agents and they will help you with the booking procedure. Our technicians will arrive at your place no matter whether it is in Maida Vale or the rest of the areas within the territory of London.